Sengoku warrior Furuta Oribe favorite tea room which is told that it was in Kyoto Funabera Takebayashiin was faithfully reproduced on the 3rd floor garden of Dogo-kan based on old figures.Please feel the stylishness of Japanese architecture in the real Masakiya built by Miya Daiko of Kyoto at all without using nails. Furuta Oribe Tea Furuta Oribe, now. In this place, we put our thoughts in mind so that everyone can keep pleasing with the people and purely fellowship with people.It is a great pleasure to serve as a prayer of your heart. 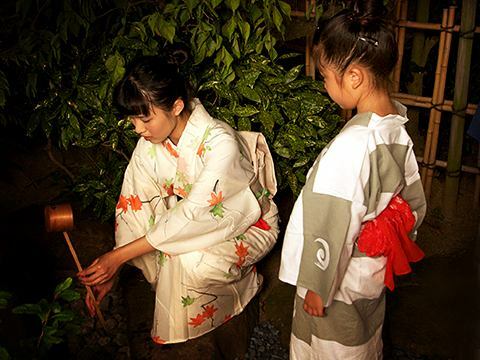 Japanese traditional beauty welcomes you. 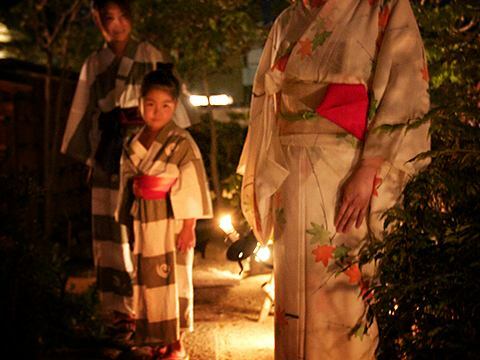 Please feel free to wear a yukata robe and sandals. A little excitement in front of a tea room with a touch. Please enjoy delicious chat for a while until time comes. Go through the trail of lights to the tea room. First of all, please enjoy the atmosphere of the night in the garden. Tsukuba (蹲踞, 蹲) is one of the adjuncts of the Japanese garden, plus a stone in a low hand bowl placed to cleanse the hand before entering the tea room and adds a touch.When washing your hands with hands, its name comes from "Tsukuba (crouching)". 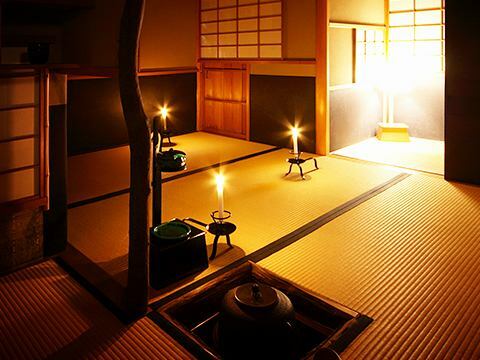 Let's go to the tea room to purify your hands and do tea ceremonies. You will enjoy green tea and sweets. Bitterness is also less reliable. 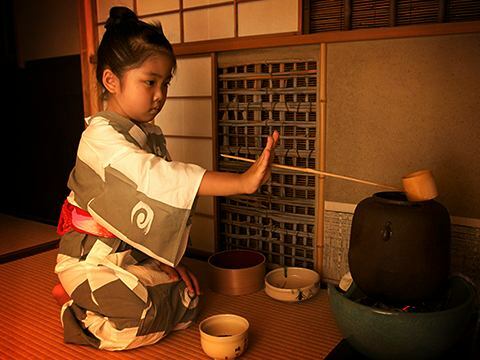 After having your green tea, those who wish can experience the experience of drinking tea. 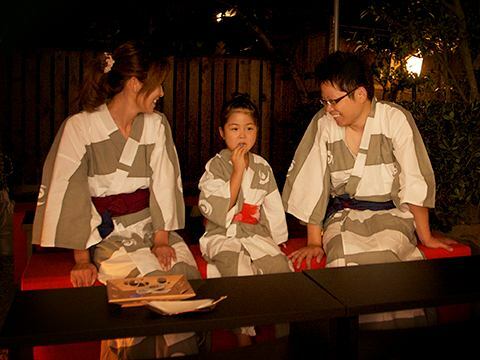 Tea ceremony teaches carefully, so you can have fun at first time people. 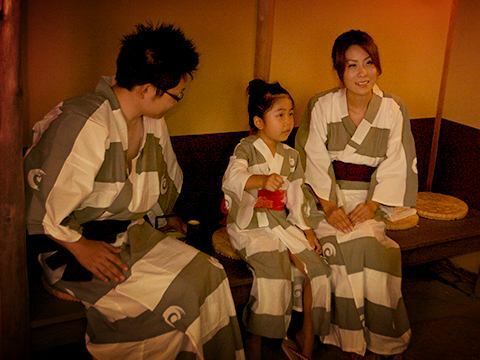 ※It may not be possible to experience due to the situation of the day's reservation. After the tea room experience, please relax and relax in the garden. 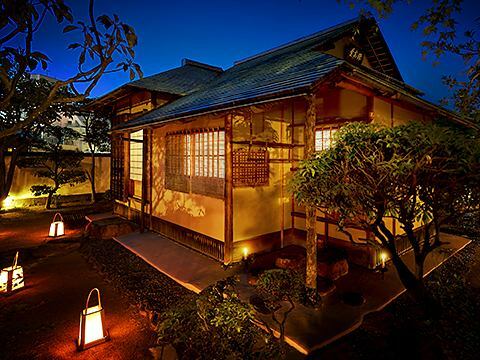 We will guide you to the entrance of the tea ceremony gently.